Congratulations! You are thriving in your very own place. The activities, the friends, the dates, the clothes, it’s all coming together… except for that gnawing feeling that maybe you shouldn’t be pounding Kind bars for breakfast on the way to work, then ordering a sad salad to your desk and getting who-knows-what’s-really-in-it for dinner after happy hour cocktails. Check out department store sales or discount stores like Home Goods, Marshall’s or T.J. Maxx and get yourself a couple of pots and pans, some utensils, measuring cups and any other gadget your tastes require (a garlic press, tofu press or an immersion blender for soups). In the digital age, finding the exact recipe that works for you is a snap. I swear by Pinterest. Search for things like “dinner easy” or “tomato soup easy,” and a multitude of options will pop up to choose from. If that fails, think back to foods your friends or family have made and email them for the recipes. These are life savers for moments when you’ve made butternut squash soup for two and are left with enough to feed a dozen more. 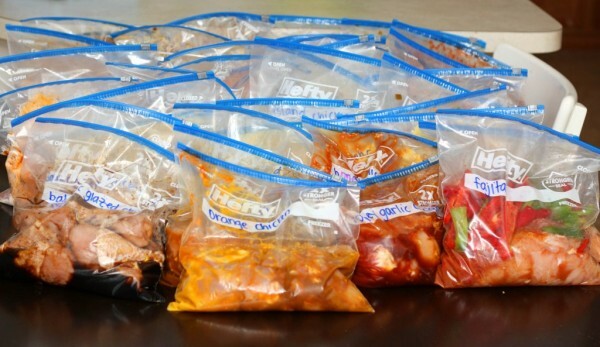 Let whatever you’ve made cool, then put individual serving sizes into each bag and freeze. Next time you come home with nothing to eat, you’ll have that dish you made two weeks ago. For beginner and en masse cooking, the freezer is your best friend. Buying fresh spinach or other vegetables can backfire if they go bad before you’ve had the chance to use them. Frozen vegetables can keep for months without the waste and are easily defrosted in the microwave, oven or stovetop.